The secret is out. 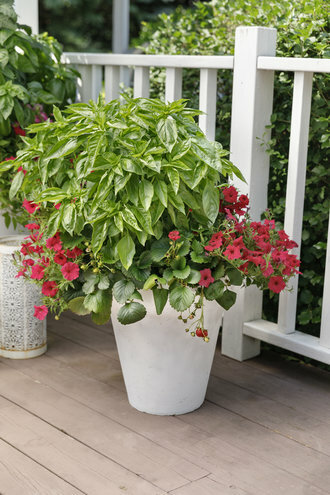 Container gardening is fun, easy and rewarding when you use Proven Winners recipes. Think of all the creative possibilities for transforming a watering can, shoe or purse into a plant-able pot! Container gardening is the perfect way to exercise your green thumb whether you live in a house with a yard, a patio home, or a condo with a balcony. 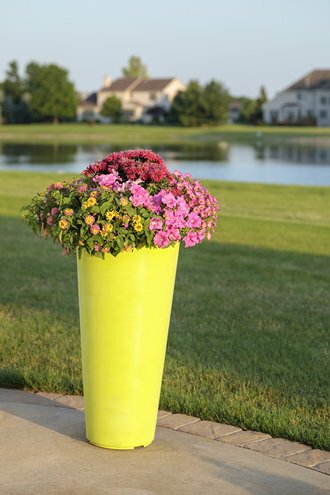 Create a traffic-stopping pot of color to place by your front door. Hang baskets of billowing blooms from the balcony or around the patio. Fill a window box to enjoy as part of your kitchen window. 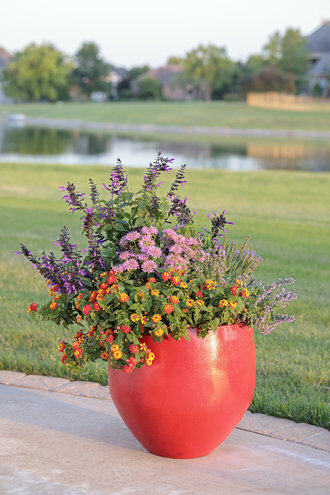 Gardeners love that Proven Winners plants aren't just for garden beds and landscaping yard, but that they are the secret ingredient found in captivating containers, filled with lush color and fascinating texture. Container gardening lets you add visual interest anywhere you want to draw the eye or direct traffic. Container gardens provide focal points that grab attention and screen the unsightly. Best of all, with Proven Winners step-by-step recipes and plants, success is a cinch. Our recipes give you everything you need to know:plants, sun exposure, container size and color scheme complete with a plant placement diagram. While Proven Winners® is known as the #1 source for hundreds of great combination planter recipes, you can also use Proven Winner plants to design your own. Read this article with full-color photos for ideas and inspiration. Stripes, speckles and pinwheels, oh my! Patterned flowers are the life of the party in modern container recipes. They instantly transform a container from humdrum to absolutely fabulous. Check out our most popular patterned Superbells®, Supertunia® and Superbena® flowers and learn how to grow them successfully.